My name is Thuy P. I came to Abundance Acupuncture in July, 2011 because I had been suffering from Bell’s palsy for about one year. This problem paralyzed the left side of my face and made it difficult to see well enough to walk down stairs without fear of falling down, drive safely, or read a book. I was unable to close my left eye so it constantly felt dry and it was hard to sleep properly. I was embarrassed because it distorted my facial expressions and slurred my speech. I gained weight when I couldn’t do normal activities and I worried that I might not be able to fully recover. All of this left me feeling fatigued, depressed, irritable, and hopeless. The doctor gave me prednisone, a steroid that didn’t help my condition. Instead it created new problems like increased blood sugar, abnormal thyroid levels, and fluctuating blood pressure which continued to bother me for more than a year. After the first treatment with David Milbradt, the acupuncturist, I could feel my muscles moving a tiny bit. After one month under the care of Abundance Acupuncture, I fully recovered. At this point in time my condition feels 98% better. My face feels normal with only a little tightness once in a while and I am able to fully enjoy my life. I have also had significant improvement in other symptoms like: muscle twitching, knee pain, and back pain. During the treatments I felt relaxed, hopeful, and trusting. The clinic is clean and inviting and the staff is very helpful, friendly and caring. I would recommend acupuncture to people who have health problems that drugs can’t solve or who don’t want to use drug to treat their health problems. We now have an alternative to their health care that works without side effects. We don’t need to continue to support the pharmaceutical companies which destroy our bodies when it’s unnecessary, costly, and destructive. 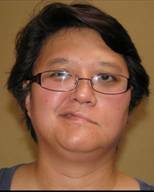 My name is Sharon B. I came to Abundance Acupuncture in January 2010 because I was suffering from Bell’s palsy. I had this problem for 2½ months. The Bell’s palsy paralyzed the right side of my face and I was unable to smile, chew on my right side, or close my right eye. I also felt painful burning sensations in my face. At times I felt like I would never get better. When David Milbradt said to me during the first consult, “I’m glad you came. I think we can help you.” I felt a great sense of relief and renewed hope. I tried physical therapy which made very slight improvements in my facial movements and chiropractic which loosened up my tight neck. I was also taking ibuprofen for the pain. I began to feel some improvements in my condition after five treatments at Abundance Acupuncture and after 12 treatments I felt significant improvement. At this point in time my condition feels 80% better. My face looks symmetrical again and I am able to smile and chew better. I have also had improvement in other problems like the tendonitis in my left ankle that prevented me from walking for exercise which is significantly less painful now. During the treatments I felt peaceful and in good hands. The clinic is inviting and the staff is welcoming and caring. David and Shari are very persistent and patient. I felt very hopeful and started to show improvement after a couple of weeks. I would recommend acupuncture to everyone because even though I came for one problem initially, Abundance Acupuncture treats the whole person. I feel generally healthier and my face has improved dramatically. I am looking forward to improving my overall health and continuing acupuncture treatments to maintain it.